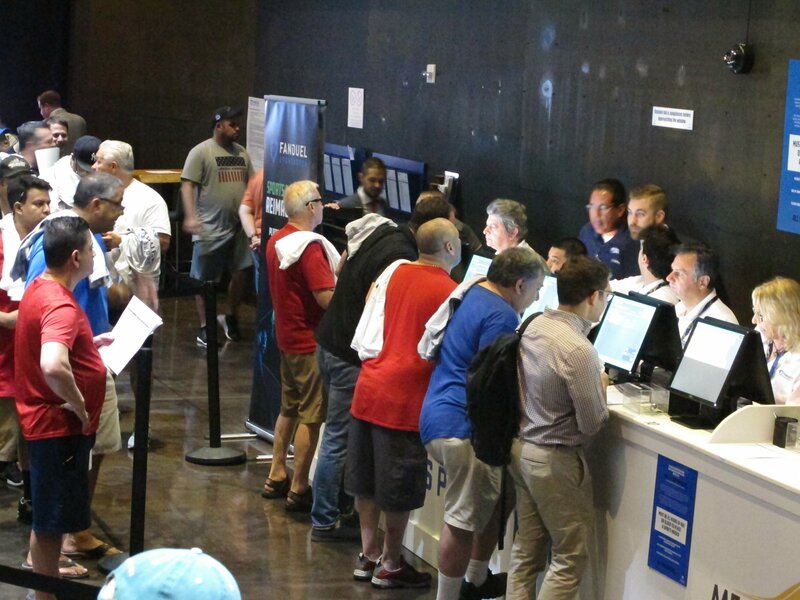 ATLANTIC CITY, N.J. — The race to legalize sports betting is on now that the U.S. Supreme Court has allowed it in all 50 states, but will it provide enough extra tax revenue to make much of a difference for schools, roads or pension debt? Just look to the states that capitalized immediately after the court’s ruling last spring and to Nevada, which previously had an effective monopoly on sports gambling. Even though the market is still developing, the returns to date have been modest. “Everything I’ve seen so far suggests that this would not be what one would consider to be a pot of gold,” said Ohio state Sen. John Eklund, a Republican who introduced legislation to legalize sports betting in his state. Revenue from legalized pot makes up just a small portion of state revenue, even in the states with the most mature markets — about 2 percent in Colorado and a little over 1 percent in Washington, according to a May report from Moody’s Investors Service. That’s still a far larger portion of revenue than even the most optimistic projections for sports betting. The state’s gambling industry took in $928 million worth of sports bets since the first one was taken on June 14 through the end of November. From that, the state received less than $8 million in tax revenue. Even if the state meets its projection of $25 million in sports betting tax revenue for a full year, that would amount to well under one 10th of 1 percent of the state’s $37.4 billion budget. Lesniak expects sports betting to eventually generate over $100 million in taxes for the state once all New Jersey’s casinos and racetracks have sports books up and running for a full year. That would be 10 times the level of tax revenue being generated right now, when many sports betting operations in New Jersey are in their infancy. New Jersey’s market is being squeezed on one side by Pennsylvania, which recently began offering sports betting, and on the other by New York, which is likely to pursue legalization this year. For perspective, New Jersey’s casino revenue at the end of 2006, when Pennsylvania opened its first casino, was $5.2 billion. A decade later, that number had been cut in half and Pennsylvania had more casinos. Even Rhode Island, which has the highest sports betting tax rate at 51 percent, estimates it will take in $23.5 million a year, or a quarter of 1 percent of the state’s budget. Those revenue projections are in line with expectations from the municipal ratings firm Moody’s Investor Service. Baye Larsen, who analyzes state finances at Moody’s, expects sports betting to account for a “very, very small slice” of state revenue and will do little if anything to help cover their rising pension, Medicaid, education or infrastructure needs. Instead, some lawmakers said they will try to direct the money to specific projects. A bill in Missouri, for example, would send some of the revenue to the capital improvement fund of the state Veterans Commission, while some of New Jersey’s online sports betting revenue is targeted to an Atlantic City promotion campaign.